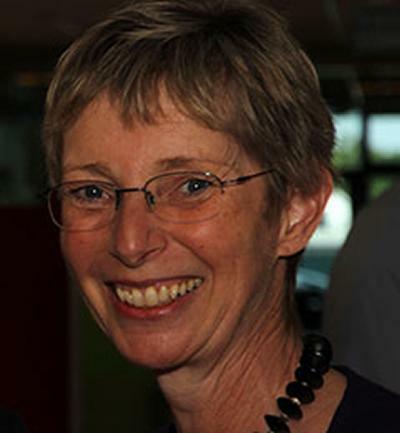 Professor Geraldine Clough is Professor of Vascular Physiology within Medicine at the University of Southampton where her research focuses on the life course determinants of microvascular dysfunction. 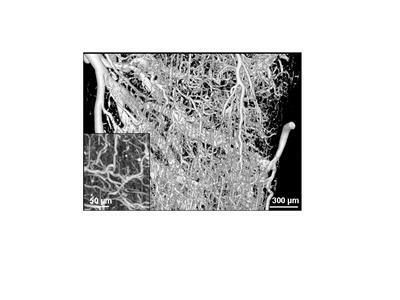 Delivery to and exchange of materials within the microvasculature represents the payload of the entire cardiovascular system. We need to know when and how this goes wrong – and be able to measure this. Geraldine Clough studied Physiology at University College London where she completed her PhD on the mechanical and transport properties of the microvasculature in 1997. She has held academic positions in the University of Oxford and at St Mary’s Hospital Medical School, Imperial College London before moving to the University of Southampton in 1996 where she was one of the first Wellcome Trust Re-entry Fellows before being appointed Professor of Vascular Physiology in 2007. Professor Clough’s group comprises basic biomedical scientists, clinicians and engineers, and has strong links with industry. Through these links Geraldine Clough has played a leading role in developing and evaluating techniques for the assessment of tissue perfusion and nutrient delivery. Professor Clough has held external positions within learned societies, as member of Council of the Physiological Society, Senior Editor of the Journal of Physiology, member of the Executive Committee of the Journal of Physiology, President of the British Microcirculation Society, member of the European Society of Microcirculation Executive and Awards panel and the International Liaison Committee. She has been a Visiting Professor at Southern University China (2008-2011) and is currently Visiting Professor at Kings College London..
Wellcome Trust Senior Research Fellow, School of Medicine, University of Southampton, 1997-2000. Working with clinical colleagues within the Southampton Centre for Biomedical Research, Professor Clough is undertaking functional and therapeutic studies to investigate and model impaired microvascular function and its association with cardiovascular risk in healthy humans and in patient cohorts with metabolic syndrome and non alcoholic fatty liver disease. Her group is currently investigating the association between impaired microvascular perfusion and neurosensation in individuals at risk of tissue breakdown. Her work is currently funded by NIHR, Diabetes UK, Wellcome Trust and industry. There is increasing evidence that the early life environment, of which nutrition is a key component, acts through developmental adaptations to set the capacity of cardiovascular and metabolic pathways, and ultimately the limits to physiological challenges in later life. Professor Clough’s work sets out to delineate the mechanisms underlying the developmental origins of small vessel dysfunction in cardio-metabolic disease. Her group is currently investigating the structural and functional rarefaction of the microvasculature in developmental models of cardio-metabolic disease using intravital and 3D imaging of the microvasculature. 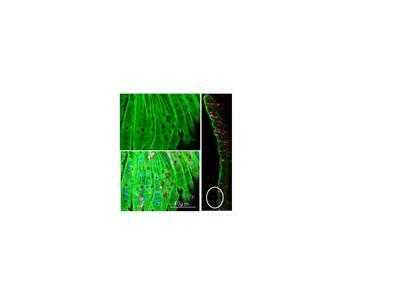 Her work is currently supported the BBSRC, BHF and Gerald Kerkut Charitable Trust. Working with engineers and mathematicians, Professor Clough’s group have has developed and used innovative technologies with which to investigate and model impaired microvascular function. In collaboration with the University of Nottingham her group is currently developing novel sensors for the detection of vascular risk for use in free living individuals. Professor Clough’s work in the development and early testing of the clinical application of such devices is funded by the NIHR, EPSRC and industry. Anyone interested in graduate studentships, or post-doctoral positions (non-clinical and clinical) in the group are encouraged to contact Professor Clough directly . Noble, M., Voegeli, D., & Clough, G. F. (2003). A comparison of cutaneous vascular responses to transient pressure loading in smokers and nonsmokers. Journal of Rehabilitation Research and Development, 40(3), 283-288. Clough, G. F., Boutsiouki, P., Church, M. K., & Michel, C. C. (2002). Effects of blood flow on the in vivo recovery of a small diffusible molecule by microdialysis in human skin. The Journal of Pharmacology and Experimental Therapeutics, 302(2), 681-686. BM5 and BM4 Delivers lectures and facilitates small group teaching in years 1, 2 and 3 that introduce cardiovascular physiology and disease, the scientific basis of medicine, and tissue homeostasis. BMedSc and MMedSc Offers laboratory and clinical research projects that investigate vascular mechanisms in health and disease.